Today is my Birthday. Pls congratulate me. I will feel good if u wish me. Thanks in advance !! Happy birthday. How many is this? How are you going to celebrate? Hope you have a great day. thx, a + to u. giving a party to friends in night at 10:00 pm. thx , a + to u.
happy birthday and give you a rate +. thx, a + to u.
thx my friend. a + to u.
thx for ur wish. u r the first one so a + from me. HAPPY BIRTHDAY!!! i wish you all the best hope your birthday is filled with happiness. 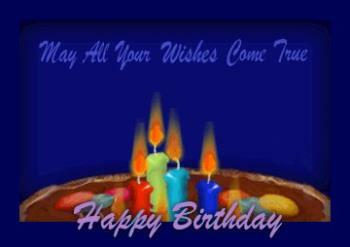 "HAPPY BIRTHDAY" to you....wishing you a very very happy birthday.how old are today\? ohhhh happy Birthday!! What's ur age now? How old are you? I am 28...and i feel old :-( i would be younger! wish u a very happy birthday. may u b the happiest person on earth. how r u gonna celebrate? ?, have a bite of ur cake for me!!! Happy Birthday to you I hope you have a great day also Happy Thanksgiving. happy birth day.many many happy returns of the day.